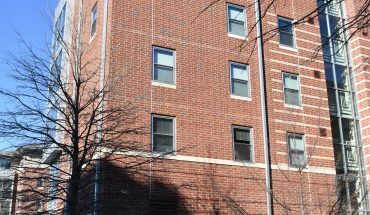 While the population of Patriots continues to climb, the housing department is making changes that will result in fewer student employees, especially resident advisors, effective next semester. 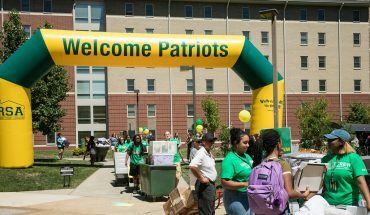 According to Chief Housing Officer Dr. Chris Holland, the housing department is undergoing a “reimagining” that looks to provide incoming Patriots with a different and more concrete residential student experience. The new role of community assistants will encompass more of the logistical aspects of being an RA, including working 24-hour desks and maintaining paperwork. 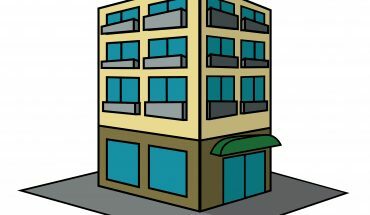 The new system looks to build toward the goal of what Holland described as “feeling you’re a part of here.” Holland also mentioned that while positions for students in Housing might be decreasing, opportunities in other places like Off-Campus Services could be a good landing spot for students looking for employment. Holland, after taking a self-described “look, listen, and learn tour,” decided that it was time to optimize and modernize housing in order to improve student engagement and experiences. From Holland’s perspective, the department is doing exactly what our newfound robotic delivery friends are doing―pushing toward the future. Holland said efficiency and redundancy were the major reasons behind the restructuring. The cost, however, will be 30 positions within student staffing in the department. While there are mixed feelings among the group, these changes came as a shock to most current RAs, who fear the potential difficulties of being responsible for more residents and competing for fewer positions within the housing department. “It’s a violent change, very quick,” says current RA Kyle Mummau, a mechanical engineering major. He sees the changes almost as an attack on the position of many current RAs who work in upperclassmen dorms. He also believes that the split eliminates certain aspects of the job that he currently enjoys. Mummau also thinks that it will be far more challenging to connect with his residents under this new system. He anticipates a massive jump in the amount of residents that each RA will be allotted. Currently, Mummau is responsible for 27 residents. He expects that number to more than double for RAs in the coming semester. When asked about how the information was relayed to the current group of student employees, Mummau described an info session where all the changes were explained. The following day, the staff participated in a Q&A session that he felt left far more questions than answers. However, not all of the students on staff think the changes are going to have a negative impact. Sophomore RA Joshua McLean, a film and video studies major, has a degree of hope about the new system. While he still admitted to some confusion, he is open to changes that could benefit both the program and the university. McLean even sees the possibility of the RAs in this new structure being able to function better together because of the larger scope of their position. The main defense for the reduction of the RA presence in older communities is that upperclassmen neither need nor desire the same community-building efforts that their younger counterparts might. Holland believes that this reduction of staff could serve to create a natural transition to life largely without the community services that RAs provide. 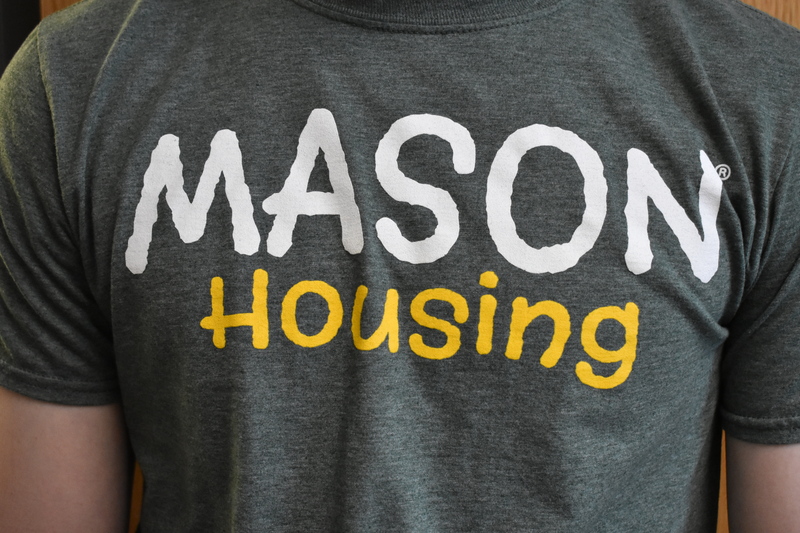 While more work may lay ahead for RAs at Mason, they will become, according to Holland, the highest-paid student staff in the entire state of Virginia, a point of excitement for all parties involved. Both Mummau and McLean intend on reapplying to the program. Unlike in years past, they will have to reapply along with the new applicants. There will no longer be what they described as “returner interviews,” adding what they perceive as an element of indifference. “We’re fighting every other new applicant for a position,” Mummau said, a reality that is bothering some current employees. According to Holland, typically half the staff turns over each year, leaving―in theory―plenty of openings for students who want to participate in the program. Holland concluded that the efforts to reorganize housing were not under the pressure of financial concerns. “We’re reinvesting the money back into the experience,” Holland said.